Pumpkin Chocolate Chunk Sourdough Bread is a hearty loaf with all the autumn spices and pumpkin in perfect harmony! Pumpkin Chocolate Chunk Sourdough Bread has all the pumpkin feels in a healthy way for Fall! I have been CRAVING pumpkin everything since end of July. And it’s finally here!!! It’s pumpkin time my friends. The list can go on and on my friends! Search “pumpkin” in our search bar to find pages and pages of pumpkin-ey goodness!! I just can’t get enough. We all know we need our core, and not to wear that crop top. We need a strong solid core to make life liveable and doable. Every thing we do requires our core and the more we can learn to activate and use our core the more we can do. As a runner I know that I will have a stronger run if I can keep more core activated, my low back in alignment, and my hips firing correctly. It means we need to make sure we have a strong core! 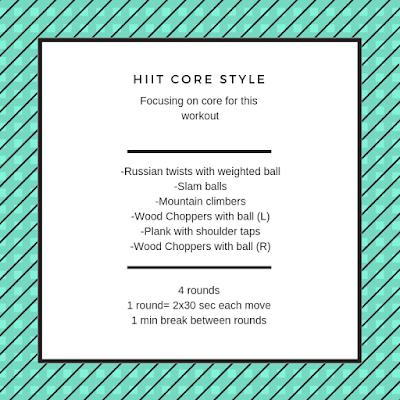 Today we are doing a core workout in HIIT style. 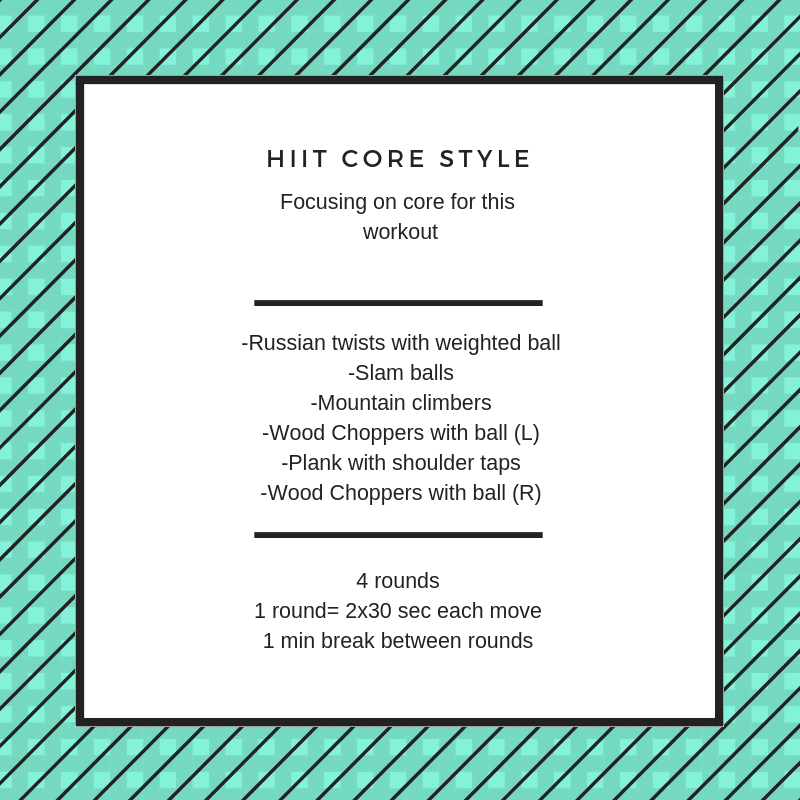 Your heart rate will be up while working those core muscles. The key, you MUST use your core to complete this workout. That may mean slowing down or not doing all the rounds, that is just fine. It is way better to do one round perfect than four rounds half-assed. Pumpkin Chocolate Chunk Sourdough Bread is a fun way to kick off Fall!! Bonus– your kids will LOVE it. Add vanilla, sourdough start, and pumpkin; mix to incorporate. Add dark chocolate chunks; gently mix with spatula to combine.